The Club moved to it’s present course in 1892 and it was agreed to build the new clubhouse which was opened on Christmas Eve of that year. 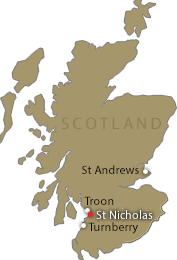 It was build as a ‘Villa’ on a prime location on the seaward side of the course overlooking Prestwick Bay. It was done that way so that, if the Club failed, it could be sold easily as a dwelling. 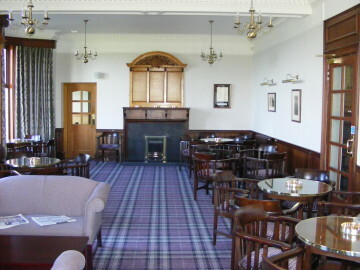 Over the subsequent years it has been developed and modified on a number of occasions to accommodate the merger with the Ladies Club and latterly in 1998 to construct the sun lounge extension, which takes full advantage of the views of the Isle of Arran and Ailsa Craig and the wonderful sunsets. The club has disabled parking, access and toilet facilities. This is given over to the Gents and Ladies Changing Rooms, the Administrative Offices and the Nancy Chisholm Room/Committee Room. Here we find the Main Lounges, the Bar, the Restaurant, Kitchen and toilet facilities. 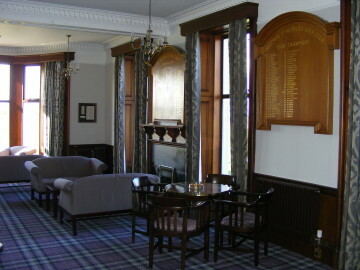 This room is in the traditional style of longer established clubs in Scotland and is named to commemorate the Club’s links to Old Tom Morris through the original club at Prestwick. 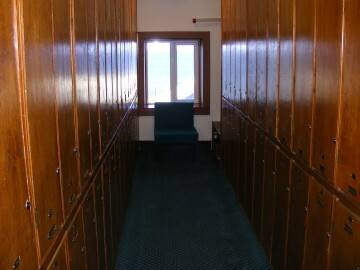 It has a wood panelled ‘wainscot’ and, on it’s walls, the Clubs Honours Boards for Captains and Presidents as well as historical artefacts related to the Club’s history. This room also has the Roll of Honour Memorial for those from the Club who lost their lives in the two Great Wars. The view from the bay window looks straight up the first hole and the other widows look over the putting green to the sea and Arran beyond. 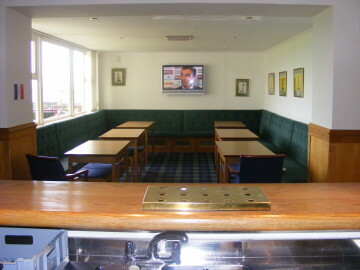 This is the room designated as the Club’s ‘Dirty bar’. The one that can be used when you still have your full golfing clothing on. (No other room in the Club allows this and access to it, dressed this way, can only be through the rear entrance to the Club). 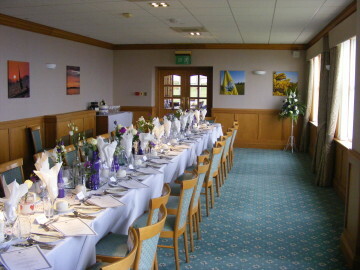 There is access to an outside seating area, the putting green and the first fairway beyond. 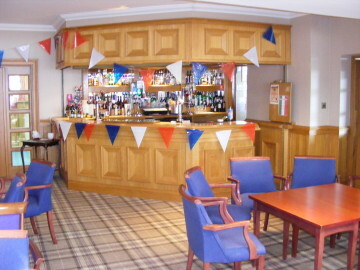 This is the main lounge of the Club with the Bar wrapping round from the Charlie Hunter Bar. The large sun lounge extension gives this room a light and airy feel and with the views out to sea Arran and Ailsa Craig in view. 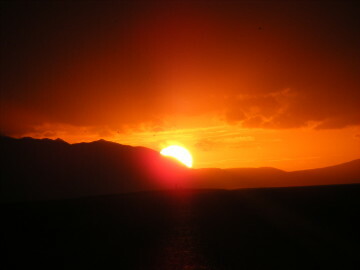 It is a wonderful place to relax after a round, to eat, drink and watch the sun set over Arran. Looking out through the French windows affords a view over the putting green to the first fairway beyond. 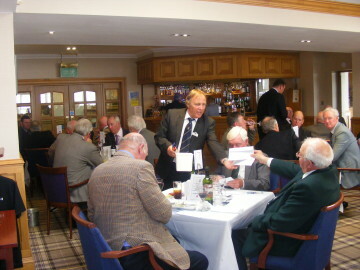 A snack and full menu are available along with daily newspapers and golfing magazines. 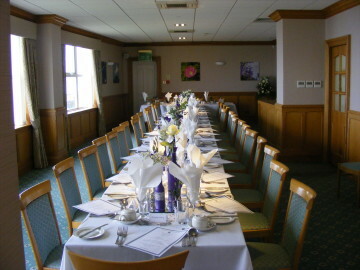 A separate room, available to hire – this is usually used for specific functions with food normally being served in the John Gray Lounge. 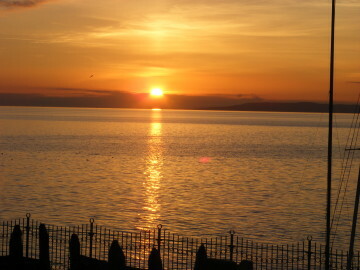 It also has views out over Prestwick Bay to Arran and North to Troon. This is manned everyday during opening times and has a good range of beers, wines, soft drinks and spirits with a ‘Malt of the Month’ being available. The friendly Bar Staff are always around to help visitors in any way they can. 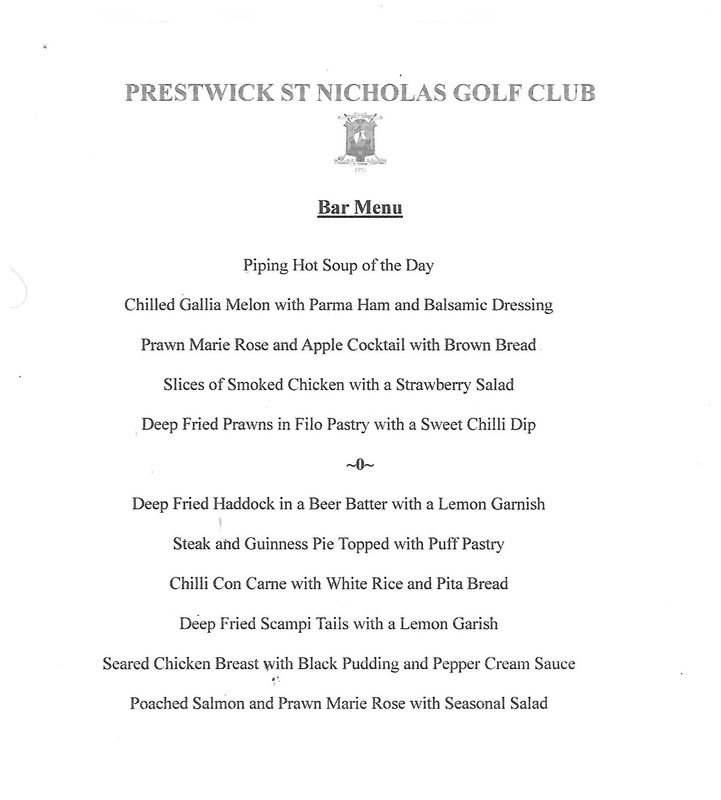 Snacks and Golfer’s Fare are available as well as a Full Menu. 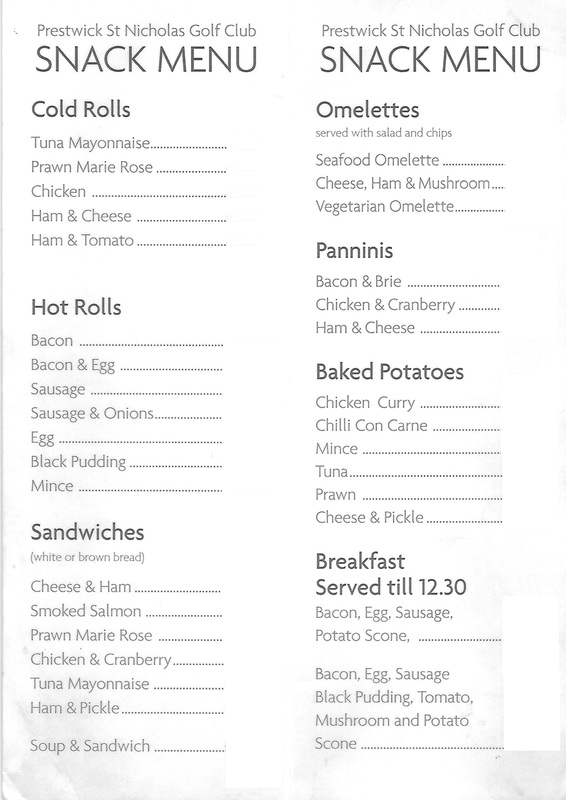 On certain occasions ‘Special Menus’ are also available generally on weekends and special dates (e.g. Christmas, Easter, Mother’s and Valentine’s day etc).